Bond and Holly Goodhead meet for the first time whilst the British Agent is given a tour of the Drax Corporation facilities. The good Doctor is on loan from NASA, the US Space Administration, in order to supervise the construction of the Drax shuttles. Bond does nothing to hide his surprise that Dr. Goodhead is an attractive, young lady and is soon flung into the Centrifuge Training simulator. "Come on, Mr. Bond. A 70-year-old can take 3 Gs." 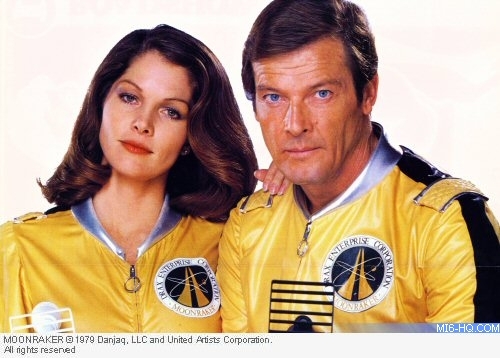 On the "Moonraker" mission, the resourceful NASA agent and 007 come to an alliance of convenience. Whilst he makes his advances in Goodhead's Rio hotel room, it takes a leap into outer space for the Doctor to warm to Bond. When the mission is a success and the pair have nothing to do but drift gently back to earth, 007 takes Goodhead "around the world" one more time. A bright and resourceful astrophysicist and CIA Agent, Goodhead is working undercover at the Drax Corporation to keep tabs on the shady operations and get to the bottom of the missing space shuttle scenario. Holly and Bond are effectively working the same mission, but from different angles. With immense experience in the shuttle department at NASA and a decorate in astrophysics, Agent Goodhead is a valuable ally for 007 - especially once the mission sees the pair following Drax into space. Goodhead successfully pilots the high-tech Drax space shuttle on its unplanned voyage back to Earth whilst Bond uses the built-in laser gun to destroy rogue capsules of nerve gas that were heading for the planet. Born in Houston but raised in Alice, Texas, Lois Cleaveland Chiles is the daughter of Barbara Wayne Kirkland and Marion Clay Chiles. Lois' uncle - Marion's brother - was the famed Midwest oil tycoon, Eddie Chiles. She was educated at the University of Texas before continuing study in New York. As a young student in NYC, a modeling agent looking to feature a model on the cover of the popular "Glamour" magazine approached Chiles. She readily accepted the opportunity and soon was on the books of Wilhelmina Models. Chiles enjoyed a successful run of modeling for magazines and fashion in the early '70s before she tried her hand at acting. She debuted on the screen in 1972's "Together For Days" - a political drama in which Chiles took the role of Shelley. Her screen career then took when she appeared in "The Way We Were" (1973), on which she worked with famed actor/director Sydney Pollack and co-starred with Robert Redford. This picture, together with a part in Francis Ford Coppola penned "The Great Gatsby" in 1974, flung Lois Charles into stardom. 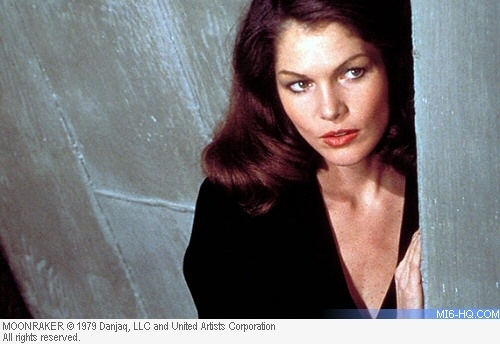 She was reportedly approached for a role in the 1977 Bond adventure "The Spy Who Loved Me" but due to other commitments was unavailable until the following outing, "Moonraker". Lewis Gilbert discovered the young and promising Texan actress after he sat next to her on an airline flight. 'Moonraker' secured Chiles international fame but her high-flying career took a dip when she received news of her brothers suffering with Hodgkin's disease during the shooting of the Bond movie. When it wrapped, she returned to her home town to dedicate time with her family and make her brother as comfortable and possible. Her brother passed away and after her break from her acting career she struggled to reintroduce herself to the business and win the caliber of role she was used to. She received a regular role in the famed TV series"Dallas" for 25 episodes as Holly Harwood. Chiles appeared in Alan Alda's "Sweet Liberty" and slapstick comedy "Twister" in the 1980s. In the 1990s Chiles worked with famed director Quentin Tarantino on the black comedy "Curled" and again on the pulp forensic series "CSI", when Tarantino was at the helm of a two-part adventure. Prior to the passing of her brother, Chiles was romantically linked to Eagles drummer Don Henley, however she reportedly broke off the affair when she returned home and neglected her work for the sake of the family. She married her husband Richard Gilder in 2005 and the pair remain together today.